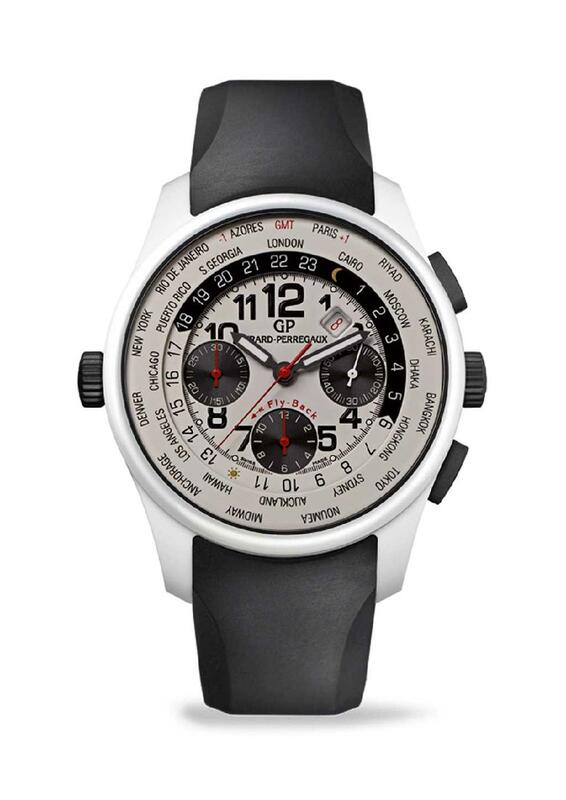 Girard Perregaux’s latest WW.TC Timer Chronograph has a snappy new look to it with the white ceramic case set snappily against the black rubber push buttons and crowns. The look is at once new, fresh and very eye catching. 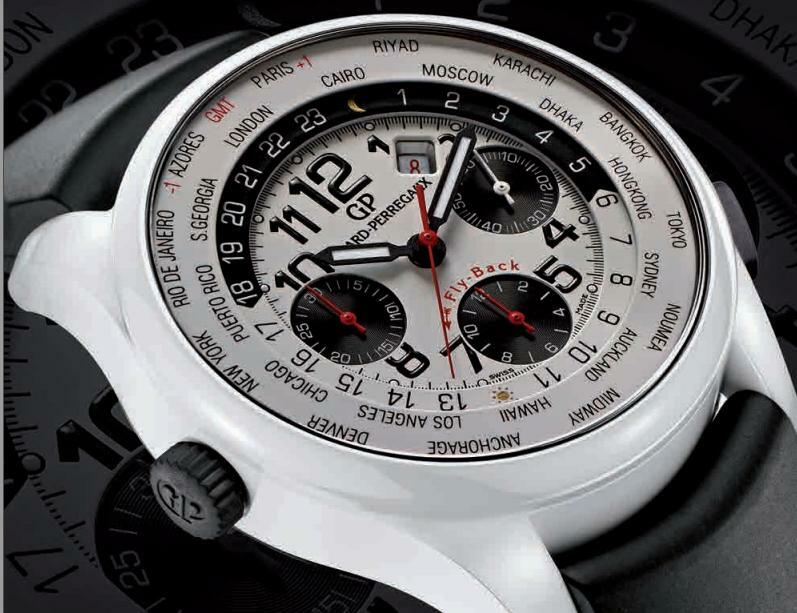 The light coloured dial, covered with smoked sapphire crystal, is contrasted with strong, graphic black numerals. The sub dials contrast magnificently against the clean white too. While the “world times” function displays all the time zones simultaneously, the date, the small seconds, the chronograph function with flyback and day/night indicator are logical and easy to read. Visible through the case’s smoked sapphire back, the manufacture movement GP3300-0028 sits inside a protective titanium housing, developed by Girard-Perregaux’s engineers. This self-winding 13’’’ calibre offers 46 hours of power reserve. All finishing was carried out by hand. Hallmarks of quality and excellence include the fact that the mainplate is pearled, the bridges and the oscillating weight are decorated with Geneva Stripes, and the screws are in blued steel. 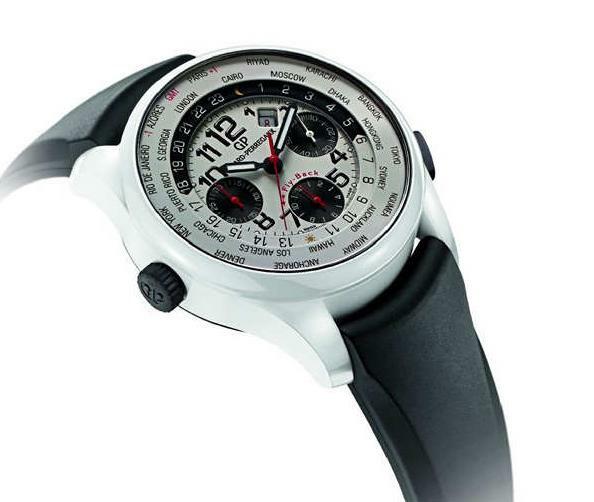 This undoubtedly stunning looking WW.TC Chronograph will be made in a limited edition of only 20 pieces, so it’s going to be appearing on just a very few lucky wrists around the world. Push buttons and crowns covered with black rubber.